Auto accidents occur at the least convenient times — otherwise they wouldn’t be referred to as accidents, right? Fortunately, most of us have purchased insurance to protect our belongings and ourselves from unexpected events like an auto accident. Despite purchasing an insurance policy on your vehicle, insurance doesn’t repair your vehicle — we do. CID Auto Body and Paint is a Top Rated Local® collision repair center in San Marcos. Our team is comprised of the best collision repair experts in the area who have years of experience under their belts to bring your vehicle back to pre-accident condition. Our auto body shop specializes in repairs for vehicles of all makes and models including fleet vehicles, semi trucks, and more. If you need collision repairs and you live in the San Marcos area, don’t waste your time shopping for estimates — head over to CID Auto Body and Paint for a free estimate! Don’t have time to stop by the shop? Get a free online estimate using our smart estimate tool! Searching for the best collision shop will put you on an endless search to find an auto body shop that does exactly what they say will do. Since you’ve already landed on our site, there is no need to continue your search. Instead, click here to complete our contact form, and we’ll be in touch with you to schedule your free estimate. CID Auto Body & Paint is a family owned body shop in San Marcos where we serve our community with its auto body needs. In addition to serving as many customers as possible, CID Auto Body & Paint strives to make our clients’ lives as easy as possible while going through the collision repair process. Our team works directly with the insurance adjusters to negotiate repairs and act as an advocate on your behalf to ensure your vehicle is repaired with the best materials. We have strict standards and hold the insurance company accountable to pay for the damages. Our excellent customer service, competitive pricing, and highly educated technicians are what sets us apart from other collision shops in San Marcos. When you get in a car accident, odds are you’ve scraped up the side of your car, or at the very minimum, damaged some of the paint where you got in a fender bender. At CID Auto Body and Paint, we do both the collision repair process and then send your car off to our paint department. Our expert auto technicians then match your paint color and restore your auto paint to pristine condition. Thus, when you get your car back after your auto accident, you won’t be able to tell any damage was done at all. As a Top Rated Local® San Marcos auto body shop, CID Auto Body and Paint believes in making getting your car fixed after an auto collision as easy as possible. Repairing a vehicle is labor intensive. It takes time, and can lead to confusion and frustration — but it is all worth it when you choose CID Auto Body and Paint. We aren’t happy with the repairs until there is zero evidence of the collision occurring in the first place. 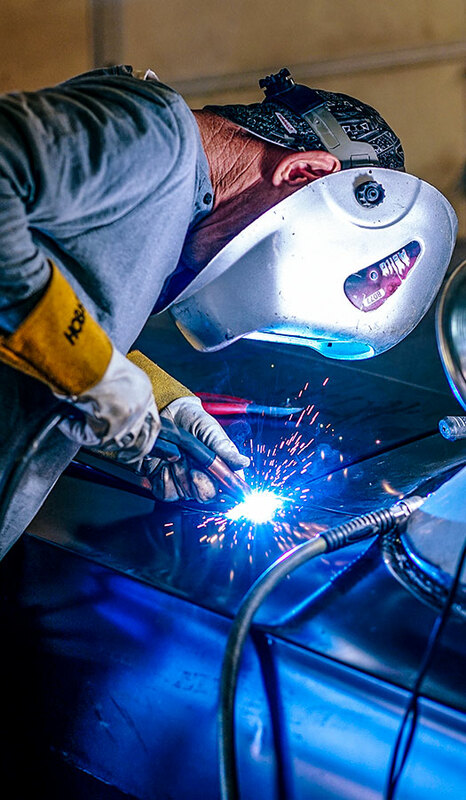 While you rely on us to perform quality auto body repairs, we rely on our customers to begin the collision process by getting an estimate of repairs. If an insurance claim has been filed, the insurance company will write their own estimate and provide payment of their projected estimate costs. This is considered the initial estimate. We ask that you bring the initial estimate and payment along with you as we inspect your vehicle damages. Should our estimate exceed the amount the insurance company wrote in the initial estimate, we will complete a supplemental estimate that factors in the damages and costs that is related to your accident. From there, we present the supplemental estimate to the insurance company for you, so you have nothing to worry about. Once the repairs begin, our professional repair technicians work diligently and carefully to bring your vehicle back to its pre-accident condition. During this phase, it’s important that we remain open to unforeseen situations that could delay repairs such as parts delay, inclement weather, or communication issues with the insurance company. Rest assured that CID Auto Body and Paint will do everything we can to make sure your vehicle’s repairs are timely and efficient. When a collision occurs, the body of your vehicle will likely take the biggest hit. But that doesn’t mean that that is the only service we provide. Despite whether your windshield broke during an auto collision or you’ve noticed a new crack in the glass, CID Auto Body and Paint also provides window glass replacement and repair. We aren’t limited to only windshields either. If your vehicle needs new windows, call the body shop you can trust! Mother Nature sure knows how to ruin a beautiful car. If your vehicle sustained hail damage, or has superficial dents scattered all over, CID Auto Body also performs PDR (paintless dent repair). When you see countless dents freckling your car, you might assume that you need an entirely new body. With PDR and a set of steady hands, the dents vanish all without the time and cost of disassembly. Not sure if the damages on your vehicle qualify for paintless dent repair? Contact CID Auto Body to schedule a free estimate! One of the other things that sets us apart from other San Diego body shops is we repair large-sized and industrial vehicles such as semi-trucks, vans, recreational vehicles, big trucks, and more. Because of this service, CID has seen repeat business from our loyal customers for many years. 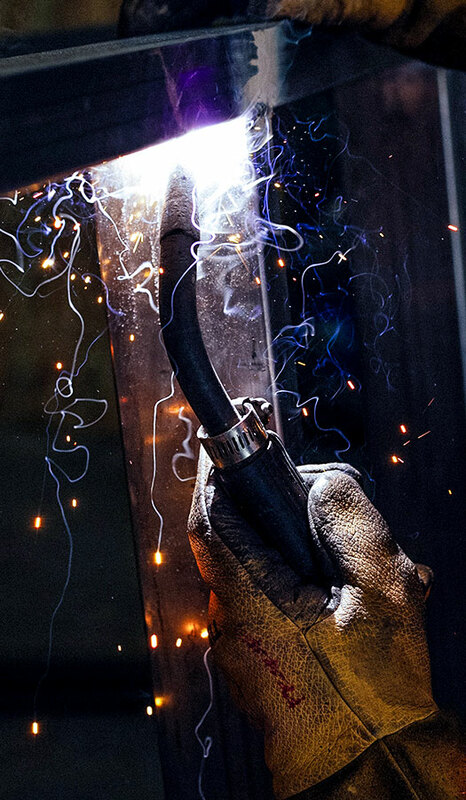 Our oversized facility, expert technicians, and modern technology is what allows us to complete large industrial vehicle repairs. Before you reach the point of vehicle repairs, there are several steps you need to finish first. If you’re not sure what to do after a car accident, allow us to help by reading further to understand what you need to do first. The steps you take after an auto collision are critical. These steps can save lives, reduce injury, and set yourself up to ensure the claim process is smooth. However, when stress is high, it can be difficult to try and remember what to do first after a collision. We prepared a post-accident checklist to help you remember action steps at the scene of the accident and the days following. Download and print an accident report associated to the state you live in. This will help you gather the necessary information in the event that police don’t arrive at the scene. Make sure you have updated copies of your vehicle registration and insurance card. Keep a few tow truck companies contact information readily available. Knowing that you’re prepared for something, no matter the situation, always relieves a little bit of panic. But just because you’re prepared for an accident, doesn’t mean you have nothing else to worry about. In fact, the moments immediately following a collision are incredibly important. Safety first. If possible, look around to assess the situation for your immediate safety. If you’re car is driveable and you’re able to safely move it, do so! When your vehicle is blocking a lane of traffic you are at risk to causing another wreck,imply pull-over to the side of the road. Never leave the scene of an accident. If it is NOT possible to safely pull-over then stay in your car, turn your hazards on and wait until emergency personnel arrive. Check for injuries. Even if the collision seems minor, try to determine if you’ve been injured. Keep in mind that some soreness may not occur until a few days after the accident occurs. Contact police. Whether your collision was a single-vehicle loss or you were involved in a 10-car pile up, contact the police. You’ll want a formal report to be taken and you can rely on the other party to make the call to the police. Report the accident to your insurance. Even if the accident wasn’t your fault, alerting your insurance company is best practice. Especially if the at-fault individual doesn’t end up carrying insurance. You can always close your claim if you choose to go through the responsible party’s policy. Request a tow. If you have a tow company that you prefer to use, you have the option to call them. Otherwise you can request a tow through your insurance company or the police officer at the scene will make tow arrangements for you. Be sure to note the name of the tow company so you know where your vehicle will be stored. It’s okay to speak with the other driver, should you feel inclined. But if you or the other driver(s) seem hostile, don’t speak to them until the police arrive. If you choose to speak with the other drivers, you’ll need to gather some information. Here are the most important things to remember at the scene of an accident. Be courteous. There is no need to make the situation worse by starting an argument. A lot of things can be said and misunderstood during a hostile exchange and you want to avoid putting yourself into a situation that could work against you. Be observant. Take a few moments to look at the scene and take note of vehicle damages, passengers, injuries, etc. Take down names of the individuals involved, as well as car insurance information. Only ask for their personal contact information if they do not have proof of insurance. Determine witnesses. Witnesses can be valuable to your claim experience, if possible take down their information too. Provide your information. Since you’ve requested information from the other driver, it’s respectful to provide yours too. In some cases, you might have to hand over your information first so the other person knows they need to give theirs. Unless you sustained injuries that require transportation to the ER, then staying present at the scene of the accident is a chance for you to take in as many details to help you fight your case. Take in as many details as possible because the insurance company will ask more questions than you realized were necessary. We understand that this all may seem overwhelming, but the most important thing to remember after an accident occurs, is to document everything. It’s better to have too much information than not enough. Don’t push off your vehicle repairs because you are still searching for the best auto body shop in San Marcos. At CID’s, we don’t claim to be the best, but we do pride ourselves on having the best customers who trust us with their collision repairs — and that speaks for itself. Our auto body services can go further. Contact CID Auto Body and Paint today to schedule your free estimate!